We are at the bend in the river. Will we continue to promote ego, separation and competition, or will we reinvent ourselves so that we can ground our actions in oneness and mutual support? I am Beth Green, and I can help you make that choice for yourself. To me, it was miraculous. In 1980, I was gifted with extraordinary intuition, an inner voice that has guided me ever since. I was 35 years old and prior to this intuitive awakening, I was a dedicated social activist. 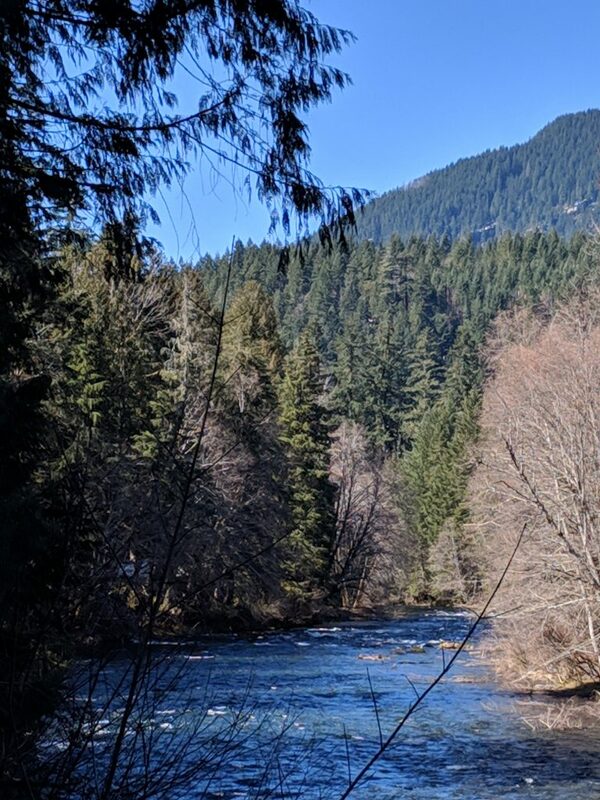 But since the day of my awakening, I have been able to use my intuitive gift purposefully, to help us individually and collectively to follow the bend in the river. When I was 15 years old, I became chronically ill and couldn’t play the piano anymore — not until I was 73! I mean it. I worked sporadically at the computer and put out some CDs over the past years, but I never, never thought I would play the piano. Well, now I can’t stop. 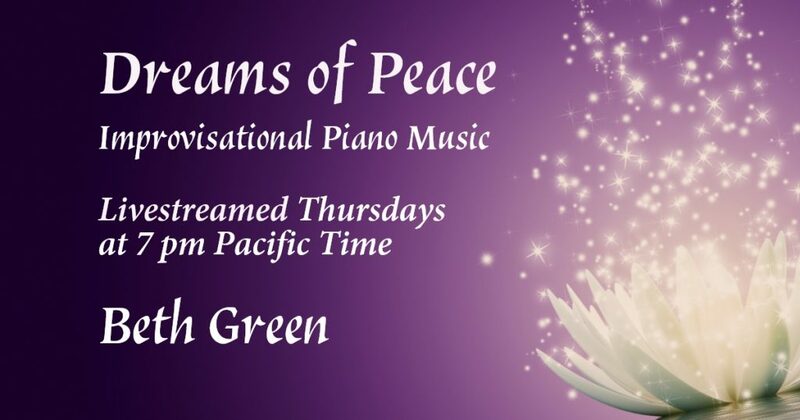 My latest offerings are Your Personal Song and Dreams of Peace Improvisational Piano Livestream. And there’s much more: Soul-O Piano Intuitively-Guided Improvisations, Soul-O-Piano Plus, which combines my intuitively-guided piano improvisations with rich accompaniments I create using a computer. (Those are amazing, aren’t they?) By the way, more and more of my piano music is becoming available digitally at Granny Rocks TV, my YouTube channel. Go there, and you’ll see playlists of Soul-O Piano Intuitively-Guided Improvisations, Personal Songs and Soul-O Piano Plus. Soul-O Piano Plus is being mixed and master by Brian Losch, a two-time Grammy-Award-winning engineer, who has done a great job so far, and I should be getting the rest of the series soon. And, just in case you’re interested, here’s a few details about Your Personal Song. We talk via the internet, and then I create a song that represents you. It’s very exciting and healing to embrace who we are. More information is below under “Personal Support,” but this modality packs a wallop because it combines my powerful intuitive insight with a song created during the session to help you heal and evolve. And you can sign up here. And just to round out what you’ll find on this website regarding my music, I offer 4CDs of original music, which you can purchase or download for free. The music is very varied (I sing a few original songs on Rumblings of Revolution), I recorded them as compositions on the computer, since I didn’t play the piano at that time, but the music is always beautiful and heartfelt. You can download them free here. A message that starts with the view that the world’s values are upside down, and we need to co-create a world that focuses on meeting the needs of people and the earth. In my written and verbal messages, I analyze why we aren’t thriving and offer steps to transform the habits and attitudes that perpetuate that painful reality. All my communications combine wit, relatability, self-awareness and timeliness with a higher consciousness that is grounded in reality. 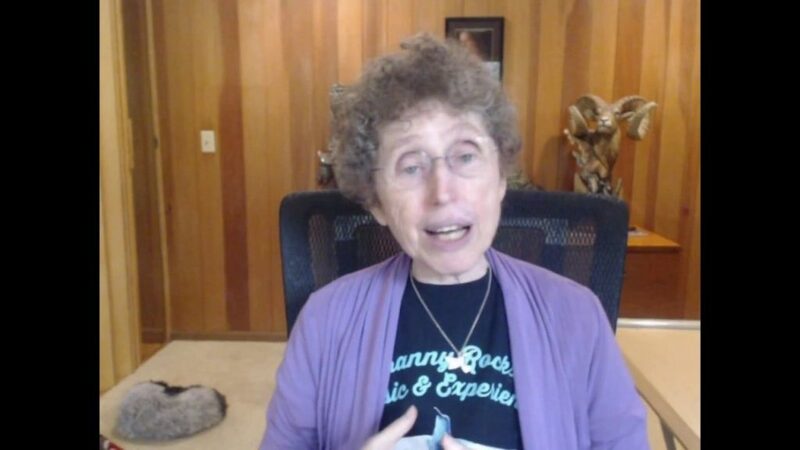 Some of the modalities I use to communicate my message are: Granny Rocks TV, my YouTube channel, which has hundreds of videos; Granny Rocks Our World (GROW), a Facebook live stream Mondays, Wednesdays and Fridays at 6:30 pm Pacific; six books, fiction and nonfiction, two of which are available as free downloads on this site; and other writings and talks that offer uncommon sense. See my Facebook page for the latest. I am now offering Soul-O Piano Personal Sessions & Songs, where we talk and then I intuitively create a song that represents who you really are and helps you heal and evolve. I then send the audio files to you. Click here for all the information about this exciting opportunity, and consider it as a gift to you or someone you care about. In addition, I offer deeply healing individual and relationship counseling; creativity coaching for movement, music, art, acting and more; consultations about your work or business; GROWTH, a weekly videoconference (also accessible by phone) where you can meet with me and your peers to discuss new perspectives gained from recent livestreams and to receive my direct, intuitively-guided intervention; Intuition Training with a Master, a 10-week intuition training program to help you develop your own intuition for personal or work purposes; retreats online and in person on the McKenzie River in Central Oregon; special events; and ongoing support, including workshops, for men’s and relationship groups, as well as a support group for people with cognitive impairment. And whatever I feel guided to offer, especially if you make a special request. Click here for information to sign up for any of these. Beth & Friends starts with a team whose purpose is to spread the music, the message and the availability of my support services. But “friends” includes others and could include you. By participating in any of our activities, you are automatically a “friend.” In addition, you can volunteer, donate, join a support group or spread the word. We’re still updating this website, but you can contact me at beth@bethgreen.org for more information. We are being presented with extraordinary challenges, internal and external. Let’s use them to grow. We are at the bend in the river! Let’s make the turn together! Below are my latest social media offerings. And click here to register for counseling and upcoming activities. Contact me with any questions: beth@bethgreen.org. 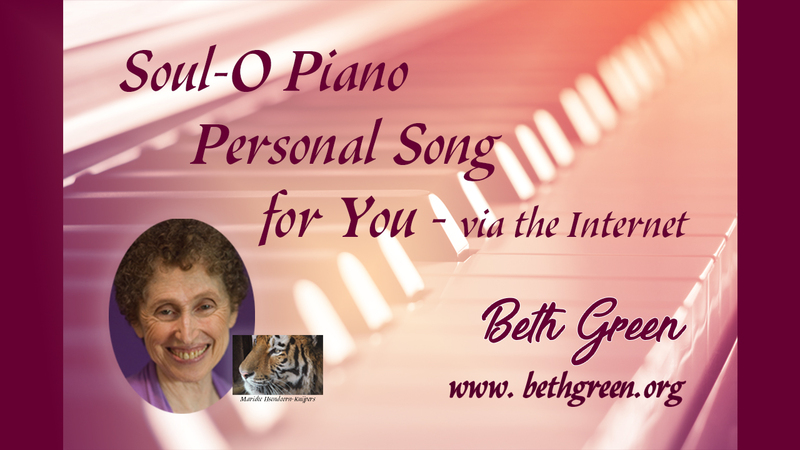 This Could Be Your Personal Intuitively-Guided Song! Would you like a personal song, created just for you? A song that reflects who you are on the inside? A song that comes from my intuitive connection to your inner being? I would love to offer this service to you. This process will not create just a “pleasant” song that makes you feel good — though I hope it does make you feel good. Rather, it will be an intuitively-guided song that empowers you to be who you really are. Find out all about it right here. After our session, during which I create your song, I will send you the audio files, and, with your permission, I’ll upload your personal song video to YouTube. If you would like to see/hear some samples, just click here. They are very varied, because each is created for a specific individual at a specific time in their lives. Check it out! Personal Songs also make great gifts. 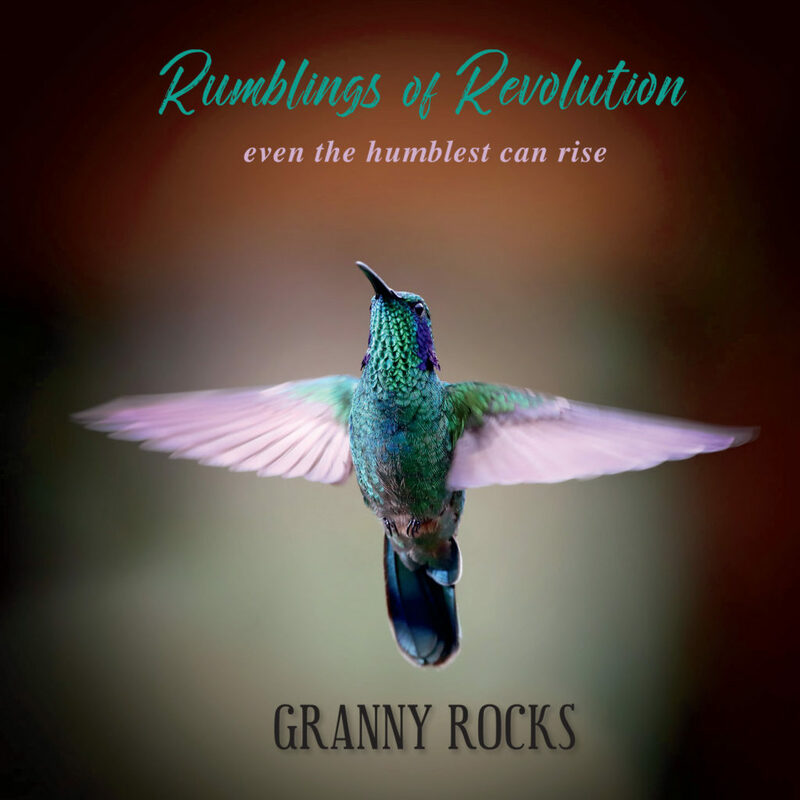 As mentioned above, you can catch Granny Rocks Our World (GROW) on Facebook every Monday, Wednesday and Friday at 6:30pm Pacific Time. But if you missed it, the latest video is always right here! Beth has just created another exciting offering. Every Thursday at 7 pm Pacific time, she will livestream herself improvising on her gorgeous acoustic piano. Her intention is to help spread healing and transformational vibrations. This livestream will start on Thursday, April 25 on her Facebook page. Check out the details. Beth has many upcoming events. First, there’s GROW (Granny Rocks Our World), which is described above and is delivered via the internet. GROW happens three times a week. 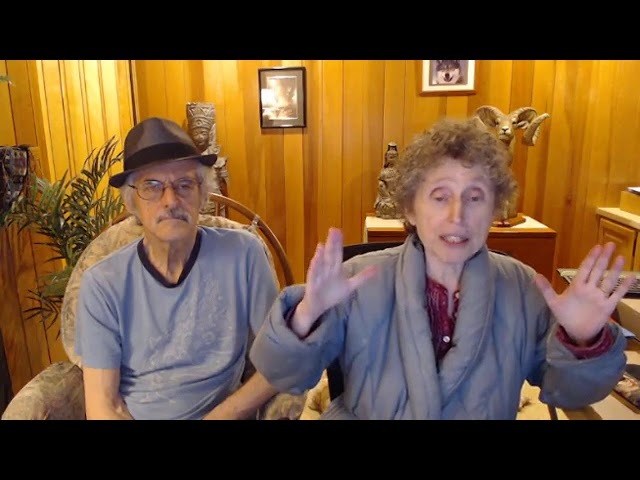 In addition, there’s a weekly event called GROWTH, which occurs via the internet every Wednesday from 7-8 pm Pacific time, where we and Beth talk live about the last three GROW shows, and we get her personal support around how they apply to us. You can access this via computer or phone, and the meetings are stimulating and fun. To hear Beth play the piano live in person, you can join her at PeaceHealth Hospital in Eugene, Oregon, where she is participating in the Sounds for Healing program. Every Monday, from 10-11 am Pacific time, she will be improvising live at a beautiful grand piano in the lobby of the hospital in order to give support to patients, visitors, staff and volunteers. And there’s much more. Beth has many upcoming retreats, workshops and other events, including Intuition Training. For the best way to see her upcoming events, paid and free, and to learn the details about them, just go to the Granny’s Facebook page events section. We will try to keep this calendar up to date in terms of events coming up in the near future. 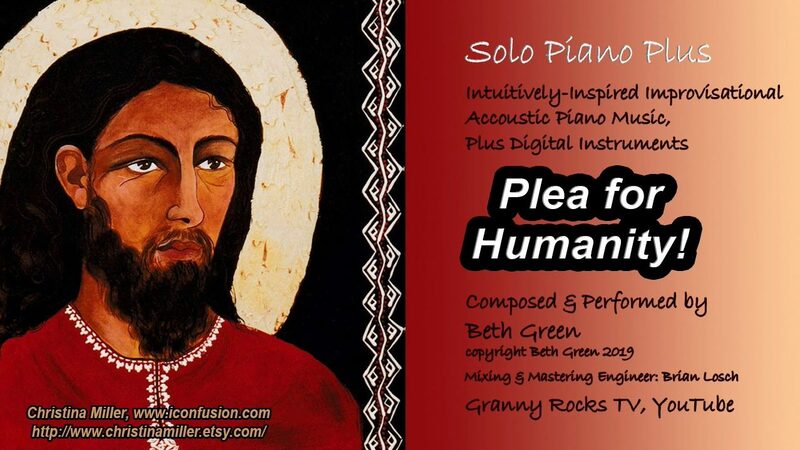 Beth’s Gorgeous New Solo Piano Plus Music Now on YouTube. In a Classical/New Age Vein! Beth has launched her music career on the Internet at Granny Rocks TV, YouTube. Right now, she's developing an EP called Solo Piano Plus. First she improvises a piece on her acoustic grand piano. Then she adds digital instruments to complete the composition. And then she creates a video by designing a cover using the beautiful artwork of Christina Miller. Mixed and mastered by two-time Grammy-award winning engineer Brian Losch, this project is very exciting. She'll be adding new songs as they are completed. Here's one of the pieces called Plea for Humanity!